Age 97 of Chardon, died April 13, 2019 at Homestead II, Painesville. Born October 11, 1921 in Cleveland to Francis and Magdalene (nee: Cesar) Beretic, she grew up in Geneva, before moving to Chardon. 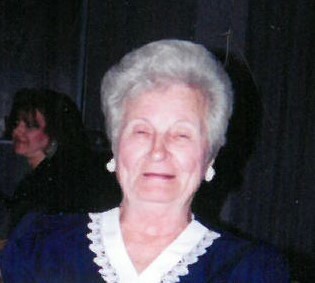 Josephine enjoyed gardening, golf and fishing with her husband. She was an assembler for General Electric for 40 years. She is survived by many nieces and nephews. Josephine was preceded in death by her parents, her beloved husband, John and brothers Harry and Frank Beretic. The family will receive friends Monday, April 22, 10:00 – 11:15 AM at the Burr Funeral Home, 116 South Street, Chardon. Mass of Christian Burial will be held at 11:30 AM at the Church of St. Mary, 401 North St., Chardon, with burial immediately following at All Souls Cemetery. The family wishes to thank her caregivers, Bonnie, Zelma and Char at the Homestead II for the warm and wonderful care they gave Josephine. Donations are suggested to Geauga County Rescue Village, 15463 Chillicothe Rd., Novelty, 44072. www.geaugahumane.org.